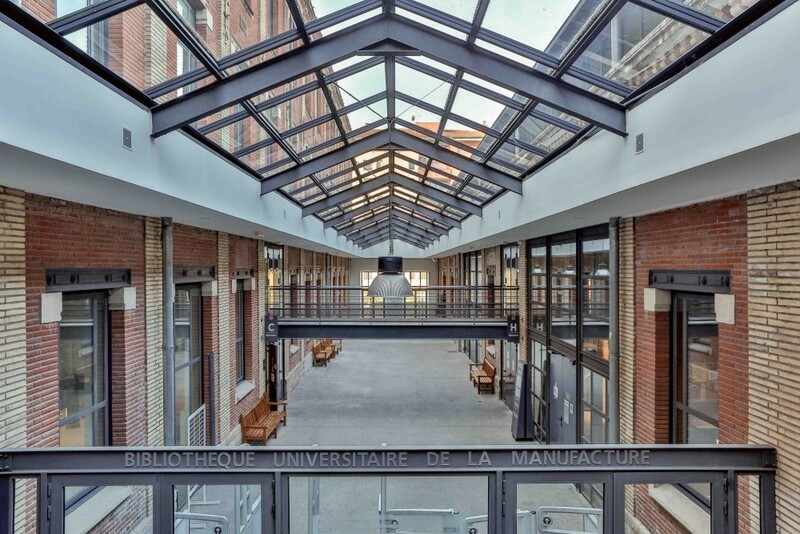 Philanthropic support has played a significant role in the creation of the Toulouse School of Economics (TSE) and in its development ever since. In 2016, we launched our second fundraising campaign, "Toulouse talent, global impact", with the aim of raising €50M by 2020. With this campaign, we want to strengthen TSE's position as a leading research and teaching institution in economics, and to ensure that TSE's people continue to provide solutions to today's key economic and social issues. We also wish to sustain an innovative and multidisciplinary approach to science, building on the work done by the Institute for Advanced Study in Toulouse (IAST), TSE's sister institution. Our donor community includes corporations, individuals and charitable organizations from France and worldwide. Join us and help us to foster distinctive innovation at TSE and IAST. Optimize our environment to foster innovation. Whether you choose to invest in programs, people, facilities, or to make an unrestricted gift, you contribute to the advancement of TSE's and IAST's missions. Our researchers' work leads to a better understanding of the economic rules and mechanisms that govern the world we live in. Innovation is part of our culture while being grounded in real-world issues. It's in TSE's DNA to contribute to public debate, to connect research and public policy, and to have researchers interact with firms. Moreover, while economics will always remain at the core of our activity, we firmly believe that fascinating and often unexpected synergies emerge from interdisciplinary approaches, which are increasingly recognized as the future for top-level academic endeavor. To achieve our ambitious scientific goals and encourage the emergence of leading teams in priority research fields we want to secure existing posts; endow new ones; and create new research centers and visiting programs. For this purpose, we need your support. Educating tomorrow's top economists is key to our future: today's students are tomorrow's ambassadors. At TSE, we are proud to offer our students a competitive international higher education program within the University of Toulouse, and to pioneer a novel approach to higher education in France. Our research-oriented courses train our students to master and adapt the best current theories and techniques to solve the real-world challenges that their future employers will face. We want to go further. We will provide a range of internationally competitive scholarships and postdoctoral fellowships within an overall educational package that meets the highest international standards and offers new opportunities for international mobility. With your support, we can bring exceptional students and young researchers from all over the world to benefit from the extraordinary ressources at TSE and IAST. A brand new building will house TSE and IAST in 2019. Designed by internationally-renowned Irish architects Grafton, this purpose-built chef d'oeuvre is located in the historic center of Toulouse. The funding for the basic structure is in place and we now seek the financial resources to fit out and equip it to the highest standards, providing faculty and students with an exciting, cutting-edge place to work, think and learn. This state-of-the-art building is designed to include facilities for hosting international conferences and seminars at the highest level: interaction is a core part of our mission. High-visibility naming opportunities will be available in this new building, from amphitheatres to experimental laboratories. To reach our goal of raising €50 million by 2020, we need your help. By making a gift, everyone has a chance to help us maintain our reputation of excellence and deliver true global impact. Make a current-use gift that has an immediate impact: the funds you donate are available to be spent right away to benefit students, faculty, and programs. Make a major endowed gift to support TSE and IAST over the long term: endowed gifts create permanent funds where the principal of the gift is invested to generate earnings that strengthen our institution for generations to come. Make a planned gift to provide future support to TSE and IAST: planned gifts include bequests and life income gifts. A research center focused on a priority research field: support leading teams in health economics, the digital economy, sustainable finance and innovation. A visiting professorship: enable a renowned professor to come for several days or months at TSE or IAST to interact with our researchers and students. A scholarship: offer an outstanding student a scholarship grant for the two consecutive years of a Master's program at TSE. Please note that we are delighted to name scholarships after the donor or sponsoring organization. New equipment for our future building: make the latest technologies available. All gifts are welcome, from France and abroad. Your donations, combined with those of others, will make a real difference. Make a gift by post: please download and complete our gift form, then send it back to the address specified on the form. Want to make a gift by wire transfer? Pledge for a recurring gift? Make a planned gift? We invite you to contact us for more information. Alumni, governors, staff, students, parents and friends: everyone can support TSE and IAST by making a gift and helping us to raise awareness about our "Toulouse Talent, Global Impact" campaign. As a corporation or an organization, you are a major source of support for TSE and IAST in a lot of different ways. We value the involvement of the business community in our activities, inviting executives to give guest lectures, developing interactions with our students and researchers and encouraging philanthropic support of our students and programs. Our fundraising team is available to discuss partnership opportunities. For more information, please contact Eve Séjalon, Head of Fundraising. See the list of companies and organizations which support us. Tax-efficient giving can apply to both Annual Fund and major gift donations. There can also be inheritance tax benefits to leaving a legacy gift to TSE and IAST in your will. Please contact us for further information. Any donation made to the TSE Foundation by a French tax resident (individuals and corporations) provides tax benefits to the donor. 66% of any individual donation is deductible on up to 20% of taxable income. If the donation exceeds the limit, the excess is carried forward for 5 years under the same conditions (Article 200 C.G.I). 75% of your donation is deductible on wealth tax (IFI), up to € 50,000 per year. Your gift is deductible on corporate tax up to 60% within the limit of 0,5% of your company's turnover. If the donation exceeds the limit, the excess is carried forward for 5 years under the same conditions (Article 238bis C.G.I.). Corporate and individual donors from a European country wishing to make a gift to TSE or IAST are eligible for tax benefits via the Transnational Giving Europe (TGE) network. American Friends of TSE, Inc. is a public charity exempt from Federal Tax under section 501 (c) (3), which enables US-based donors to benefit from full tax deductions. For more information, visit our AF/TSE section. If you would like to discuss your support for TSE or IAST, please contact our team; we can help to match your generous philanthropy with our priorities. We are proud of and grateful to all our donors. Thanks to their support, we are able to work towards our aim of using economics as a force for good in the world. Thank you! Toulouse School of Economics is proud to present our new online payment module, a new quick and easy way to contribute to our campaign. In 2014, the IAST, our sister institute, created CAPS, the Center for Analytical Political Science with the support of the Meyer Family.